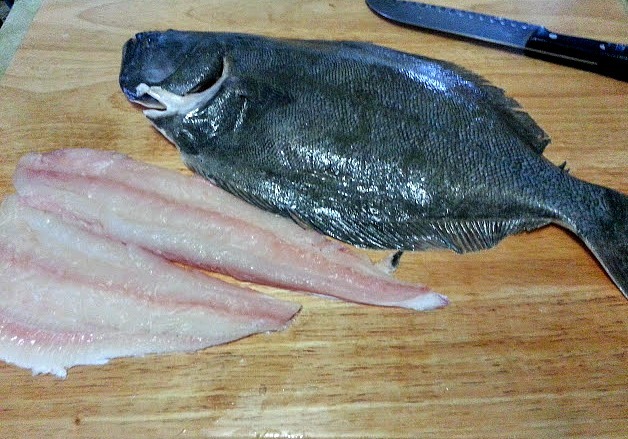 It's my first time to fillet a fish and I was so excited. Too excited that I didn't even bother get a more appropriate knife for the task. So according to the video I watched, it starts on the white side, Slit/Cut through the middle from the tail up then just continue all the way to the sides to remove the flesh from the bones. 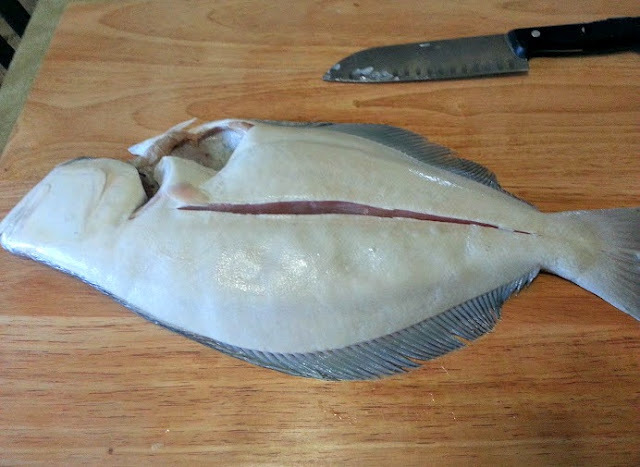 So there I have one side of the halibut taken care of. It's time to repeat the process on the other side! I got busy and didn't take pictures of every step but here's what I made- Halibut in Spicy Sweet & Sour Sauce. 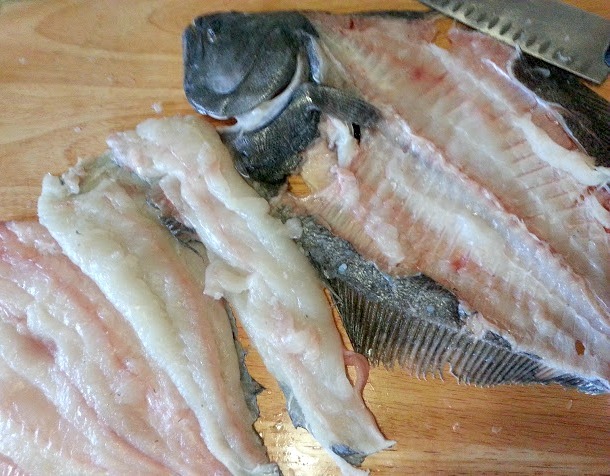 First, I lightly coated each piece with rice flour seasoned with a little salt and 21 seasoning salute. That gives that nice crispy exterior to the fish. 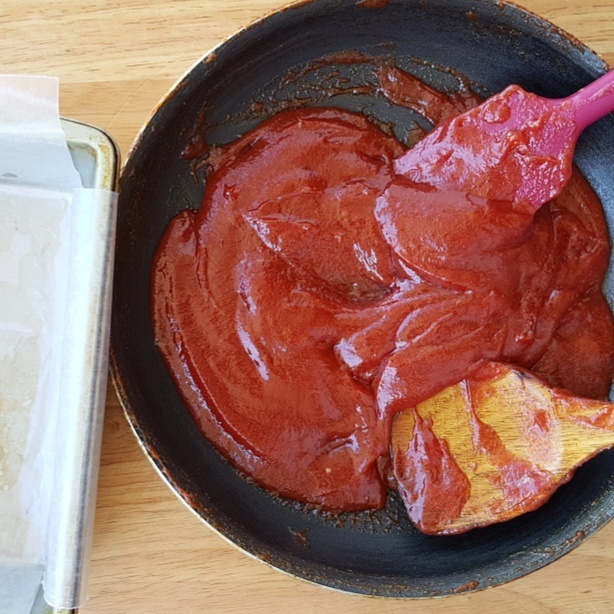 Then I made the sauce from the fish stock I made earlier- just added a little white vinegar, tomato ketchup, quartered white onion, red and green bell peppers, a little sugar, pineapple tidbits; thickened the sauce with a little Wondra powder then added cilantro for freshness. I feel bad not taking more pictures but this is something I've done many times in the past. 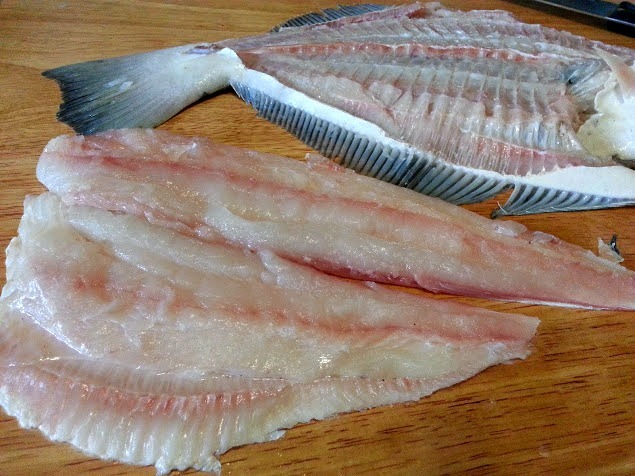 The only difference is I filleted the fish myself. 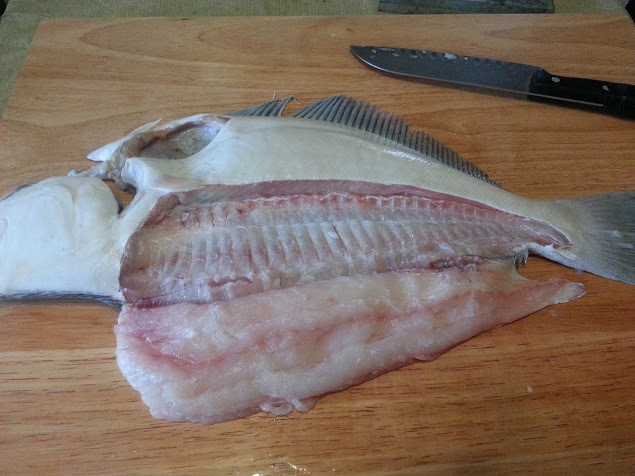 I need a filleting knife next time.